It is characterized by the deterioration of mental abilities due to the degeneration of the brain. In most cases, it is usually diagnosed in the elderly population. 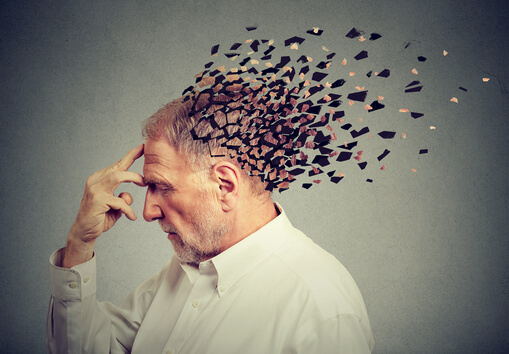 This is why a lot of people have a misconception that it is just a normal part of aging, especially since one of its symptoms is forgetfulness. As such, it’s important to recognize the difference between simple forgetfulness and an early stage of Alzheimer’s. Alzheimer’s is a disease that needs to be taken seriously. To keep yourself and your loved ones safe from the threat of this disease, it is best to be well-informed, especially of its risk factors. There are 2 types of risk factors for Alzheimer’s— controllable and uncontrollable. Although some of the risk factors for Alzheimer’s can no longer be altered, there are also some which could still be managed. Before it’s too late, make the necessary lifestyle changes to keep Alzheimer’s and other forms of dementia at bay. You could also avail of homecare in Spring, Texas to help your loved ones manage this disease. Healing Through Caring Homecare LLC greatly understands the struggle that patients with Alzheimer’s go through every day. This is why we provide non-medical care services that ensure their health, safety, and well-being. We offer services, including personal care in Texas, that enable your loved ones to live comfortably at home. Feel free to share this post to help others have a deeper understanding of Alzheimer’s. This entry was posted in Alzheimer’s Disease and tagged Caregiver Assistance, Non-medical Care, Nursing Home, Personal Care Services. Bookmark the permalink.